While many people consider starting a garden, few look at it as an opportunity to have a fun adventure right from home. By going the extra mile, you can turn a standard garden into an extraordinary one full of fun and discovery. If you want to do more than just grow your everyday garden, consider these tips to take it up a notch. It’s easy to go to a store and buy whatever prepackaged option is available, but it can be fun to take certain matters into your own hands. For example, creating a compost pile can provide excellent nutrition for your plants while also limiting waste and lowering overall gardening costs. 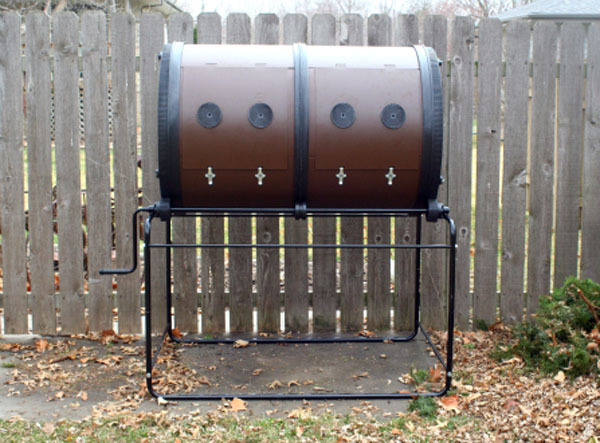 Whether you want to try and build your own compost container or purchase a suitable one, like the Mantis composter, the initial investment will reap benefits for years to come. One way to bring a little adventure into your outdoor garden is to plant unique fruits or vegetables that aren’t easily found in stores. Consider planting some Okinawan Purple Sweet Potatoes for a fun twist on a classic flavor, or add some Buddha’s Hand for visual interest. When selecting new options for your garden, make sure and examine the information regarding their ideal growing region. Just because a plant is not native to your area does not mean it cannot be successfully grown, but you want to make sure your region supplies similar conditions, such as temperature and level of sun, that allow the fruit or vegetable plant to thrive as it would in its native country. Even if you do not have space for a full size garden, you can likely grow a variety of herbs in small containers in your home. As with fruits and vegetables, there are a variety of herbs that may not be accessible as fresh in your local grocery store that can be used to infuse interesting flavors into your dishes. If you like Indian cuisine, consider growing your own curry plants. If you are a fan of using natural sweeteners other than sugar, you can grow your own stevia to powder for use in recipes as long as it is used with care. If you enjoy the flavor of rosemary or sage, winter savory may provide a fun alternative. Part of the fun of having a garden is getting the whole family involved. It can provide an excellent way to introduce children to the concepts of gardening, as well as give them a connection to the food they eat. Many children will find it fascinating to watch the plants grow, especially when started from seeds, as well as being able to enjoy the results of their hard work. Creating a community garden can also be an adventure in its own right. Not only can this provide fresh produce to those most in need, it can also create an excellent opportunity to meet new and interesting people within your own community. When created as a charity venture, it can also introduce children to ideas about volunteering, and used as a chance to teach others in the neighborhood how to successfully garden on their own.